Don't toss those old docs just yet! Got an Apple, Mac, or iOS tech question? We have the answer. While we're always glad to see the upgrades and new features that are included with each new version of Mac OS X, it's definitely a drag when the new operating system prevents you from opening older apps or documents. 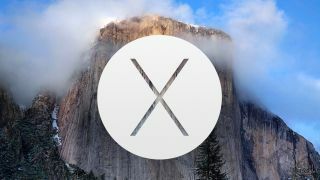 In response to a reader question, we'll take a look at how to deal with some of those incompatibilities — specifically, how to open Appleworks documents in Yosemite. I downloaded and installed OS X 10.10 Yosemite. After the installation a dialog appeared saying it can't run Appleworks 6. What am I to do with the several thousand Appleworks 6 documents that are important to me? Is there any way to make them work? Appleworks 6 is a rather old piece of software, with the last updates coming out nearly 11 years ago (in January 2004). Apple discontinued support for the software in 2007, around the time that Leopard was released to the public. While you have been able to use the software for a few years afterwards thanks to Rosetta PowerPC (PPC) software support on modern Intel Macs, Apple finally stopped supporting PPC in OS X Lion. If you still have documents lying around in this format, however, and wish to upgrade them to work with modern apps (say, Pages, Word, or TextEdit), you can do this with the available iWork apps (Pages, Numbers, and Keynote). For the most part, opening old Appleworks documents is as simple as dragging them to Apple's current applications. For example, if you have an AppleWork 6 word processing document, then you can drag and drop it on the Pages icon in the Dock to have it open; if you have an AppleWork 6 spreadsheet or presentation file, then you can also drag and drop them on top of Numbers and Keynote, respectively. You might end up with some formatting issues, but in general this should allow you to access your old documents.